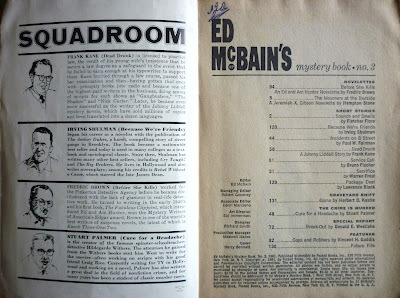 Back in May of this year, I posted a series of reviews on Existential Ennui of some of the short stories Donald E. Westlake wrote for American science fiction magazines in the 1950s and '60s (along with a bibliography of those tales). Some of those stories were later collected in book form – notably in 1989's Tomorrow's Crimes – but many have never been seen since. 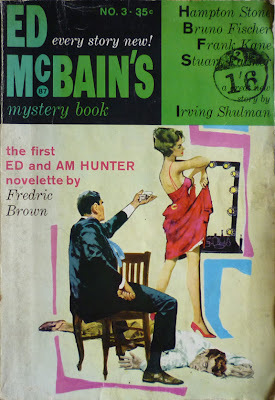 Now that I'm blogging over on The Violent World of Parker, I'll be returning to Westlake's SF stories in another series of posts starting next week – in amongst the still-ongoing Existential Ennui posts on signed editions, that is – with a handful of further futuristic tales dating from around 1962. But in the midst of my feverish online quest for old science fiction magazines, I turned up something by Westlake that wasn't science fiction, or crime fiction – or even fiction for that matter: an obscure essay in a short-lived crime story magazine; an essay which, while not an essential piece of the Westlake puzzle, is still interesting for how it represents a little-examined aspect of the great man's writing career. Halfway through the magazine, however, comes "Break-Out". 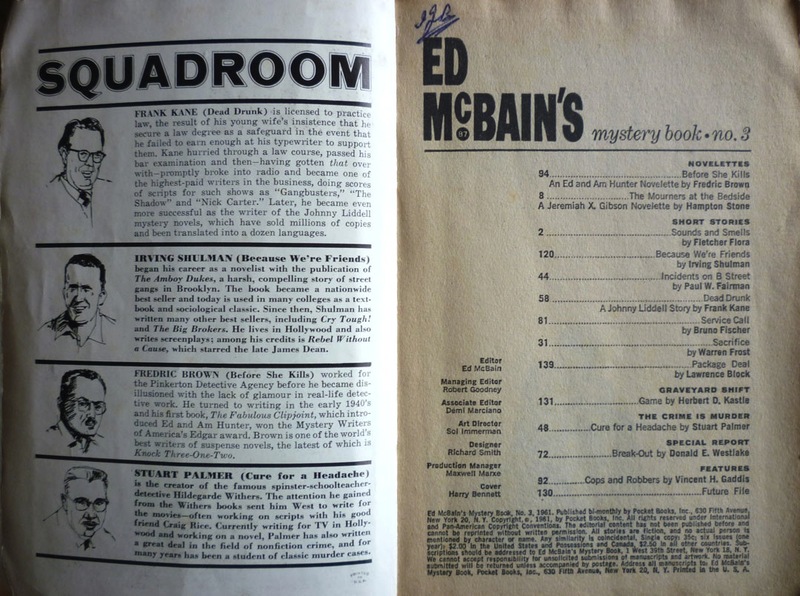 Essentially it's an overview of factual prison escapes, some well-known, others more obscure, from twentieth-century Alcatraz escapee Ted Cole to eighteenth-century English highwayman and repeat prison-buster Jack Sheppard. 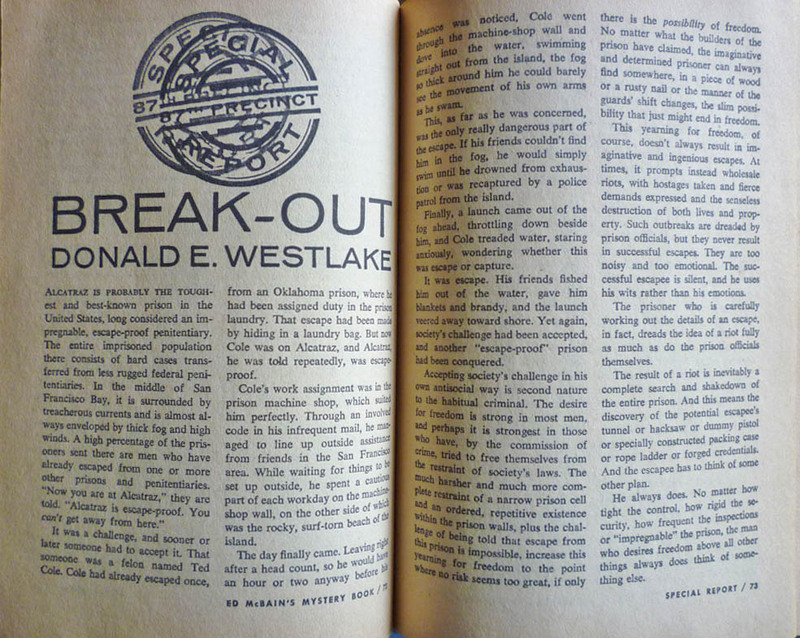 Jailbreak by jailbreak, Westlake details each escape and then examines how successful each escapee was in staying out of jail. 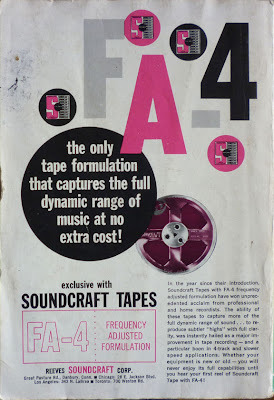 Indeed, it's the aftermath of the breakouts which become the article's focus as it develops. As Westlake observes, few planned for what they'd do once they were free, and consequently swiftly ended up back inside. Here is the core of the problem. The tougher the prison officials made their prison—the more they challenged Sheppard and told him that this time he couldn't escape—the more determined and daring and ingenious Sheppard become. 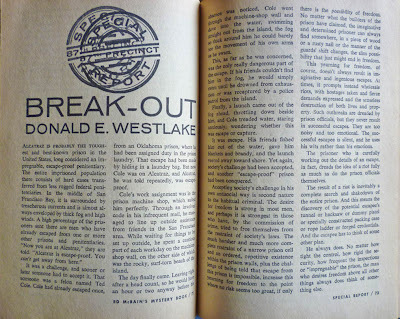 It's a fascinating little piece, and though I don't think one could draw any direct parallels with Westlake's fiction – the later Richard Stark Parker novel Breakout, for example (title and general theme aside) – it's evident that prison breaks were a subject Westlake was genuinely interested in himself, rather than something he wrote about simply for a paycheck. In fact, looking at his relatively small body of non-fiction overall, I reckon you could say the same about all of it: when he chose to wrote factual pieces, it was first and foremost because those subjects interested him. In that way, they perhaps reflect more of the man behind the words than many of his stories do.